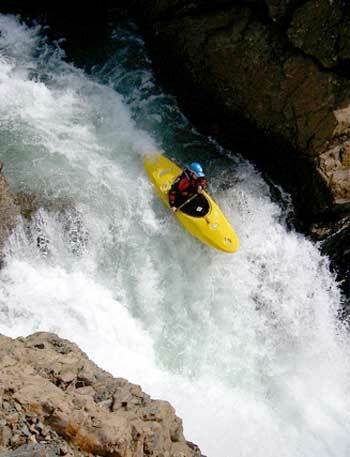 Whitewater kayaking is a mental sport — plain and simple. Whether you’re scouting a rapid, or committing to a line, it is your mind that can either be your best friend or your worst enemy. In order to give yourself a mental boost when paddling, it’s important to first consider what exactly your thoughts are when you feel your mind is playing tricks on you. First, consider what usually goes through your mind when you’re scouting a rapid. Write it down in the form of a question. How hard it is to make the line? Can I make the line? Have I made a similar move to this before – how did that go? What if I end up in that cave? What if I swim or end up in that hole? 1. Change your thought process to change how you feel: The mind is very powerful, and the connection between thoughts and emotions works both ways. The way you’re thinking affects how you feel, and vice-versa. Be aware of this and realize you CAN control your thoughts, and therefore how you feel. Negative thoughts will make you feel nervous, sad, scared, etc. So, if you are nervous above a rapid, check yourself, and maybe change your thought process. 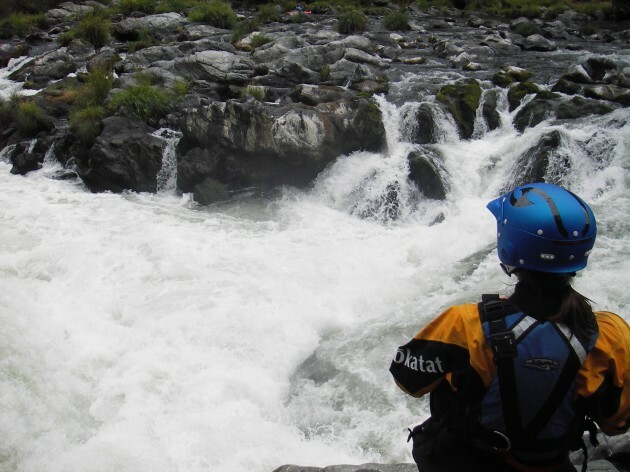 If you’re facing a tough rapid, tell yourself, ” This looks tough, but I am much tougher, and have the skill to make this line.” Don’t even mention it to yourself that it looks really scary, IF you know you have the ability to run it. Break the rapid down into steps and be confident in your abilities. 2. Learn to look at things from a different angle: Imagine yourself paddling down the rapid, hitting the line, and taking powerful strokes. What you see in your mind can translate into action! If you think positive, successful thoughts, and not only see yourself making the line, but tell yourself, “I can do this!”, then you can, and will feel good, and paddle well!Â Work daily on your self-image: make it strong, vivid, courageous, and that’s exactly what you’ll be. 3. Take full responsibility for your thoughts: As you’ve learned, negative thoughts only hamper your performance. It takes practice to turn fear into challenge, or disappointment into hope. Make every effort to suppress negative thoughts while paddling! If you find yourself thinking negatively, say “Stop” to yourself, and immediately begin thinking and processing positive thoughts. While it sounds corny, it makes a big difference, and overtime you will have trained yourself to think positive the second you start thinking negative. 4. Practice Positive Thinking- Never Say Can’t or Hate:Â Can’t or Hate puts up mental roadblocks, and makes it very difficult to overcome such negative thinking. If you find yourself in this situation, tell yourself “Stop”, and go through your positive thinking and visualization processs. Remember, you must be confident in your self, and your abilities- whether it’s a solid roll or a wet exit- and be able to mentally back yourself up. Know your abilities, your limits, and be confident in your decision-making skills. As I mentioned above, practice positive thinking, and positive imagery regularly. It takes time, but pretty soon you’ll be able to put a positive spin on anything. Eventually you’ll find this will carry over into your everyday life: work, play, relationships, etc. While it sounds like a bit of a gimmick, tricking your mind into telling your body that you’re not tired, even when you are, or that you can run the rapid because you have the skillset to do so, even when your mind tells you no because you are terrified, positive thinking and imagery really WORKS! 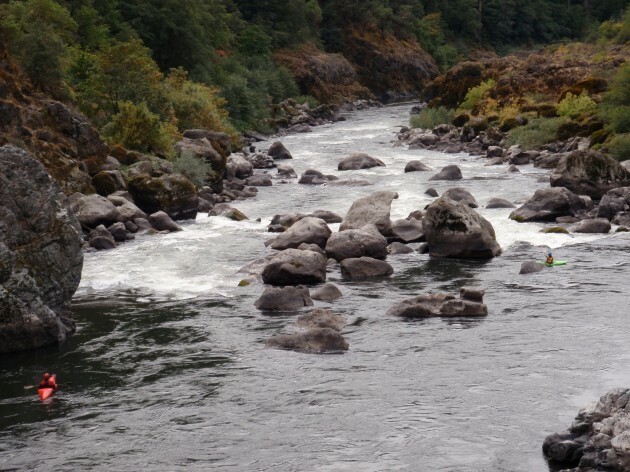 Give it a try the next time you are out on the river, and PRACTICE,Â PRACTICE,Â PRACTICE!